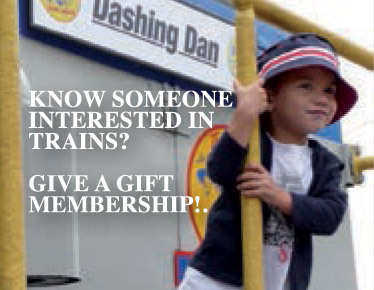 To learn more about becoming an OBRM member, upcoming projects and programs, special events, volunteering, or other ways you can "get on board", please contact us at 516-558-7036 or email us at [email protected]. The Museum consists of a Visitor Center at 102 Audrey Ave., Display Yard, and Historic Landmark Train Station. The Museum is currently closed for the season. Rob is the current vice president of the RRM, has served as a Director of the RRM since 2009, is an attorney in Oyster Bay, and resides in East Norwich. Rob also serves on the Board of Directors of the East Norwich Civic Association and Oyster Bay-East Norwich Chamber of Commerce, and is counsel to (and former Board member of) the Oyster Bay Civic Association. Bill has served as a Director of the RRM since 2012, is chairman of the RRMs Education Committee, is a 35 year resident of East Norwich, and a retired N.Y.C. high school administrator. Bill has authored our Educators Guide with the support of an Advisory Review Committee composed of local museum directors and railroad personnel, and is currently working with RRM board member Donald Zoeller and local school districts on an innovative Classroom-Student Museum Visitation Program for grades 4-12 that will fulfill current N.Y.S. 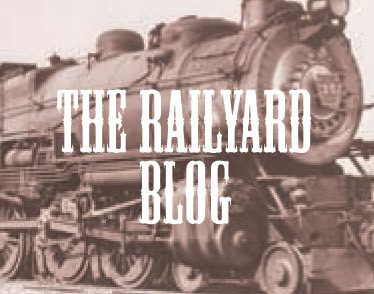 Common Core Standards and the Railroad Museums education mission. Leon has served as a volunteer in nearly all aspects of the Museum since the mid 1990s and remains a dedicated volunteer at the Museum's rail yard, in tracking membership, and as a leader of the Museum's shop committee. Leon is a Navy veteran, has previously been employed by the Town of North Hempstead and Nassau County, and currently resides in East Rockaway. Tom is the current treasurer of the RRM, having been appointed in 2017 to fill that vacancy. Tom is a resident of Syosset and serves on the Board of Directors of the Life Enrichment Center at Oyster Bay, where he also serves as treasurer. Tom is a retired executive vice president with the MTA and holds a master's degree in Public Finance from Baruch College. 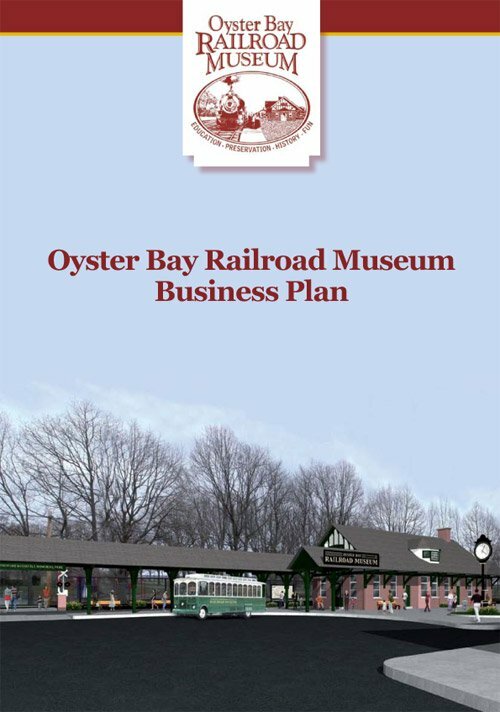 Gary is the current secretary of the RRM, was the first president of Friends of Locomotive #35, the founding organization that later became the Oyster Bay Railroad Museum, and resides in Baldwin. Gary is also a member of the Railroad Museum of Long Island, as well as the Long Island Sunrise Trail chapter of the National Railway Historical Society. Joel is a retired Social Studies teacher, having been employed in the N.Y.C. school system for over 20 years, then serving as Chair of the Social Studies Dept. at Baldwin High School for nearly 15 years and Supervisor of student teachers at Hofstra University. Joel has previously served on the Board of Trustees of the Queens Historical Society and the Great Neck Historical Society, currently acts as a docent and archivist volunteer at the Cradle of Aviation, and resides in Great Neck. John is a retired N.Y.C. school principal, serving grades K-8 in Middle Village, and resides in East Norwich (formerly of East Williston). Prior to entering education as a math teacher, he worked on the Lunar Module Program as an engineer at the Grumman Aerospace Corporation. John has a lifelong passion for trains (particularly, the Oyster Bay branch) and enjoys his extensive collection of O-gauge trains. Dottie has served as a Director of the RRM since 2011, grew up in Oyster Bay, and currently resides with her family in Glen Head, N.Y. She has been employed in the Oyster Bay area her entire professional career, and is the co-owner of Dodds and Eder Home in Oyster Bay, where she has worked for 19 years. Dottie is also an active member of the Oyster Bay-East Norwich Chamber of Commerce, for which she currently serves as president, and where she has led the Chambers many beautification efforts over the last several years. John is the current president of the RRM, an agent for State Farm Insurance in Oyster Bay, and resides in Oyster Bay. John previously served for 13 years as a trustee on the Oyster Bay-East Norwich School Board, was one of the founding members of the Oyster Bay Main Street Association, and is past president of the Oyster Bay Rotary Club. Josh has served as a Director of the RRM since 2006, holds a masters degree in Museum Studies from the University of Toronto, and is currently the curator of the Cradle of Aviation Museum in Garden City, a position he has held for nearly 30 years. Throughout his service at the Cradle, he has overseen the growth of the collection, as well as the design and installation of exhibitry, making it one of the countrys premier air and space museums. Josh is also the author of 20 books on aviation, spaceflight, and transportation history. Steve has served as a Director (and dedicated volunteer) of the RRM since its inception, was the first chairman of Friends of Locomotive #35, the founding organization that later became the Oyster Bay Railroad Museum, is past president of the RRM, is employed as a conductor for the Long Island Railroad, and resides in East Rockaway. Steve is also a member of the Long Island Sunrise Trail chapter of the National Railway Historical Society. Judy has served as a Director of the RRM since 2007, is employed as an associate real estate broker at Laffey Fine Homes in East Norwich, and resides in Oyster Bay. Judy also serves on the Board of Directors of the Performing Arts Center at Oyster Bay High School, The First Presbyterian Church of Oyster Bay, and the Long Island Panhellenic. Judy previously served for 17 years as a trustee on the Oyster Bay-East Norwich School Board, and is also an active member of the Oyster Bay Rotary Club and the Junior League of Long Island.